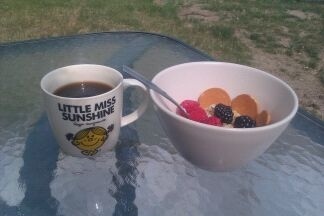 Coffee + french vanilla yogurt with blackberries, raspberries, vanilla granola and nilla wafers. Just as amazing as it sounds. Follow 20poorandfabulous on Facebook and Pinterest on your coffee break. ← Movies: The Great Gatsby is lookin’ fierce!